What’s Happening with NMC Wellness? Research shows that random acts of kindness not only boosts your physical health but also helps you to maintain a positive outlook on life. We genuinely feel good when we give, help or contribute without expectation or reciprocation of acknowledgment. Join Marissa as she presents on how a simple, kind gesture can reduce stress, boost our immune system and help reduce negative emotions such as anger anxiety and depression. Click here to access the 2019 Random Acts of Kindness Calendar! Challenge yourself to choose an act every week this year! 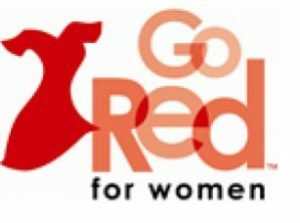 National Wear Red Day to support women’s health- Friday, February 1, 2019. Sponsored by the American Heart Association- click here for more information. Would you like to be added to a Wellness email distribution list? Marissa often has wellness resources she would like to share with employees, but we realize not everyone wants extra email! If you would like to be added to the list, simply email Hollie at hdewalt@nmc.edu and ask to be added.